I have been working in the field of Machine Learning, Deep Learning, AI, and Computer Vision for the last 3 years, and I have gained a lot of experience working on both my mathematical...Read moreI have been working in the field of Machine Learning, Deep Learning, AI, and Computer Vision for the last 3 years, and I have gained a lot of experience working on both my mathematical and my coding abilities. This is because I am taking academic classes in this field while also working on real-life projects and enhance my skills with online courses and projects. I am also interested in the field of Embedded Systems and Robotics, that I have both worked in the field of Embedded Systems and participated in numerous Robotics international competitions. • Image classification using CNN with data augmentation and transfer learning. • Face detection and recognition. • Autonomous Car Detection using YOLO v3 algorithm. • Teaching a car to drive using RL. • Developing a differential robot that can navigate and localize itself autonomously using ROS, Gazebo, Python, and Raspberry Pi 3. • Hybrid Image from two or more images using MATLAB, Python, and OpenCV. • Feature Extraction and Matching using Harris corner and SIFT algorithm. • Database System for a clothes store using C#. 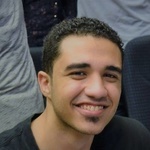 You can find all my projects and work in my GitHub account (AhmedWael19). Also, you can find there all my certificates for the online specializations and Nano Degrees accomplished so far. I am well-oriented, responsive, flexible and very dedicated to the projects I accept. You are welcome to drop me an email or request a call-back to discuss your project. Also, we will agree on the price and the time frame as long as the project is challenging and fun for me. I am also offering to tutor anyone interested in the field and does not know how to begin. Let's discuss and we will agree. Thank you. Glad to do business with you.